Richard Trevithick, English engineer and inventor, 1816. The painting shows him seated before a window, pointing to a view of mountains. 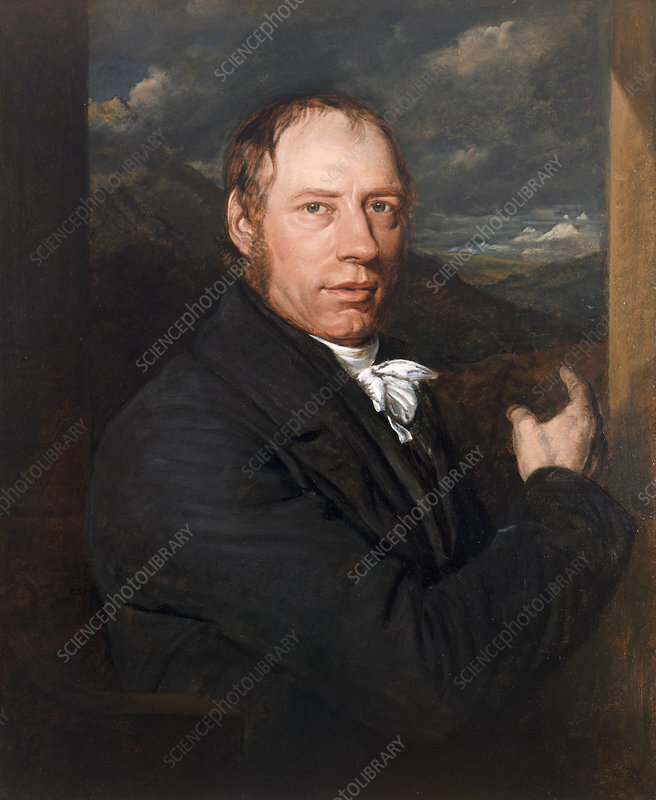 Richard Trevithick designed the first locomotive to run on rails, as well as being a designer of steam road carriages and a large number of stationary steam engines. Artist: John Linnell.